Your family trip to Amelia Island isn’t complete without visiting the ecological and historic preserve on the Kingsley Plantation in Jacksonville. You’ll find it located at 11676 Palmetto Ave, Jacksonville, FL on the beautiful Fort George River, at the sprawling 46,000-acre National Park Service Timucuan Ecological and Historic Preserve. It’s a convenient 35-minute drive from downtown Jacksonville, Amelia Island or Fernandina Beach, and it is well worth the trip to visit Florida’s best-kept park secret. 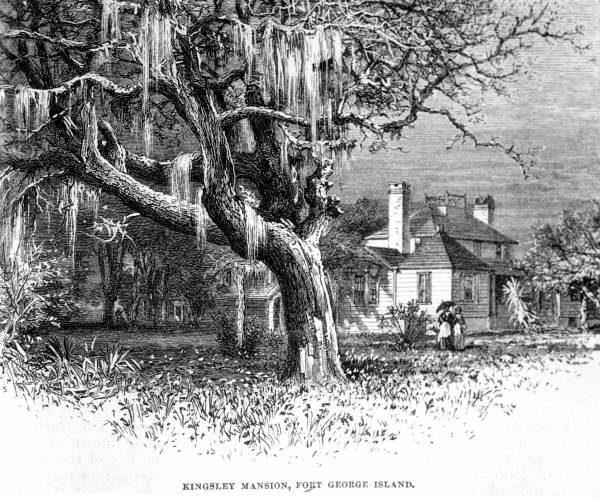 At the Kingsley Plantation, explore beauty and history that are equally evocative. The story of the plantation is truly unique to the era, detailing a plantation owner falling in love and marrying one of his slaves. They had three children together, and the slave owner had to fight for his children to have rights, as they were technically born slaves. The historical site educates guests on the rich, interesting past of the inhabitants of the plantation and also covers the Spanish influence in the area. After touring the structures, visitors can explore coastal dunes, salt marshes, and trails for biking and hiking. Add the fun of your day trip and visit the Fort Caroline National Memorial. Located in the same park, and only a 40-minute drive along the scenic river, you can learn about the short-lived French presence in the Jacksonville area and Native American’s first encounter with Europeans. The Kingsley Plantation is open every day of the year, apart from Thanksgiving Day, Christmas Day and New Year’s Day, from 9:00 a.m. to 5:00 p.m. Visitors are invited to explore the grounds, which include the waterfront site, kitchen house, plantation house, interpretive garden, barn and slave quarters. You can find the visitor contact area in a 1920 structure neighboring the plantation buildings. Between the history and the beauty of this waterfront site, there’s enough for the whole family to enjoy during your Amelia Island vacation, even your four-legged family members! Dogs are welcome but must be kept on a leash no longer than six feet. The best part of it all? Admission is free!